Home, Car and Office Security Door Locks Replacement! Offer Discounts! You'll need full locksmith assistance in case of an emergency, and that's when you should use our 24/7 services. Our professional company has everything necessary for resolving any issue, from lockout to key damage in an effective and fast manner. 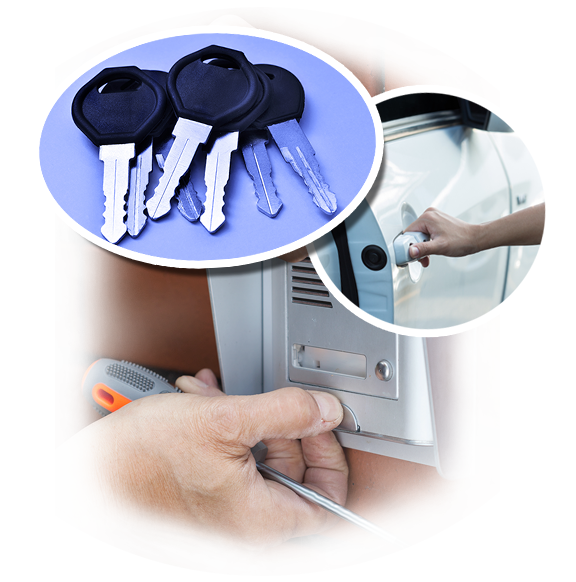 We service locksets of all types and brands used in homes, offices and cars. The knowledge and skills of our specialists are combined with excellent organization for delivering the best result in the shortest time. Our work is based on complete accuracy and close attention to every detail. Turn to us when there is an urgent issue and we will come swiftly to deal with it on the spot. Expect the fastest response from one of our customer specialists when you dial our number. Our technicians will be on their way as soon as you provide an address. We, at “Locksmith Justice”, place great importance on speed when we resolve emergencies. We are always available to assist households, businesses and vehicle owners when problems with locks and keys arise. The range of our emergency locksmith services is all-encompassing. We are experts in lockout opening and complete the job quickly every time. It does not matter if we have to deal with a stuck mortise lock or a fancy computerized car lock. Our lockout service covers safes of all types as well. The owner’s access to the property is restored in the shortest time and so is the condition and functionality of the locking device. If there is a need for key repair or replacement, we will provide this professional service as well. We do everything for our customers. Our lock repair services are effective, dependable and speedy. We use only the best precision tools, materials and replacement components. Our extensive expertise and the fact that we keep up to date with the latest innovations in the industry enable us to fix even the most advanced electric and solenoid locks. After we are done, the device will operate perfectly in every respect. The rekeying of locks is another solution that we offer on emergency basis. In case of lost office keys or house keys, our professionals modify the internal configuration of the lock to enable its use with another key. This is how the security of the premises is effectively restored. We have everything needed for lock replacement on an urgent basis as well. Our customers have the option of getting a device matching the old one or a new lockset with more advanced features and capabilities for a higher security level. Leave us a note straight away to describe a particular issue or necessity and to make an enquiry about our services.